Reset Database Tool added. This is useful if you just played around with the system and want to 'start over'. 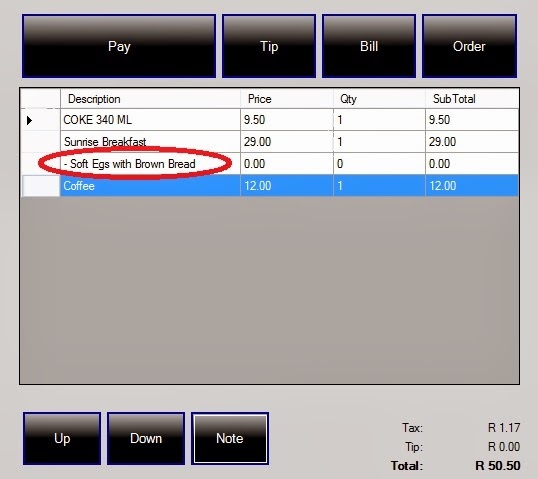 Reprint option added to restaurant module. More options to customize the till slip was added. 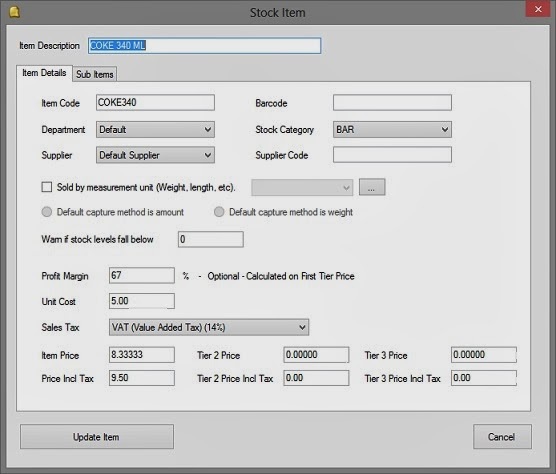 Stock receiving improved (allow price changes, weighted unit cost and easy label printing when prices change). Stock received reports now include person's name who received stock as well as price changes that was done. 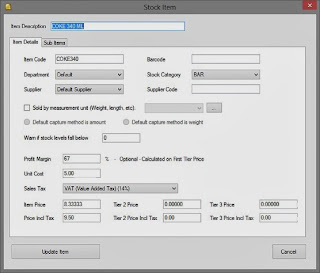 Export Manager was added to export data for other programs like scale software. Payment screen can now close automatically (optional). If you want to upgrade to the new version, please follow these steps.